Any bookings shall be covered by these terms and conditions. Here at Knights Removals we aim to offer a friendly and flexible service. We do however have this set or terms and conditions in place. • We prefer to receive our enquiries by email, as this gives everyone involved a written copy of what is required. All phone quotes will be based on the details given over the phone and based on the details we take from you. Our record of conversations shall be final. 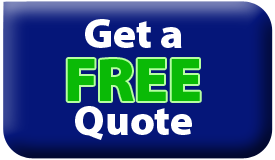 • All quotes are based on the details provided by the customer. Any additional items to be moved are at the driver’s discretion and maybe subject to charges. • Any un described access or parking issues are also open to additional charges. • Customers may book our services via email, text or phone. We will require full addresses and contact details to reserve a time and date. • Any delays or charges incurred due to un described parking regulations or restrictions will be chargeable to the customer. • Parking will be required on the same side of the road as the property. If this is not the case then we need to be informed. Any unexpected loading and unloading that requires crossing roads will be based on the discretion of the driver and must comply with our health and safety policy. • All items will be removed from chests of draws, wardrobes, cabinets, filing cabinets etc unless otherwise stated. • We will make all efforts to arrive with you on time. • The vehicles we use all have specific weight limits. It is extremely important that you provide us with an accurate itinerary of what you require moving so we can calculate the weights. • Any additional items will be loaded at the driver’s discretion. • Unless you have explained any delays when requesting a quote there will be no allowance for waiting times at any of the properties. • By waiting time we mean time spent where loading or unloading cannot take place. • We may allow 15 minutes good will throughout a job but any time after that will be charged at £25 per hour per man. Or if we have a commitment we may have to leave your job. • We are unable due to health and safety risks to enter any lofts unless they are accessed through a fixed flight of stairs, are fully boarded and lit. • Altering your booking once a deposit has been paid will be allowable upto 14days prior to booking as long as we can accommodate your new booking date. • We have insurance in place to cover loss or damage to your goods casued by us. • Loss or damage occurring in premises where the goods are stored, warehouses or temporarily housed in the course of transit. • In extreme weather conditions it may be unsafe to carry out our work or even get to the jobs.